Wide mouth plastic tub in "natural" opaque white color. Opening is 110 mm wide. Lids are sold separately, see item JAR01A. 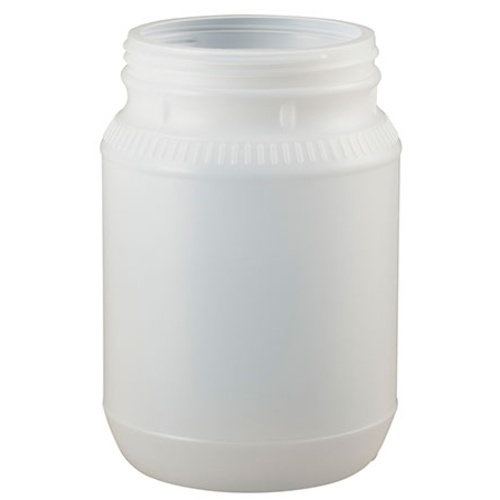 Holds 1/2 gallon, or 6 pounds of liquid malt extract (LME). Sold individually, packed in cases of 6. 360 each per pallet. Storage for bulk dry ingredients.